From $124.83/mth on Payment Plan What's this? The following instalment plan options are available: $374.50/mo for 2 months* $249.67/mo for 3 months* $187.25/mo for 4 months* $149.80/mo for 5 months* $124.83/mo for 6 months* * PLEASE NOTE: The amounts are indicative. Shipping costs and applicable taxes will be added and Weta Dollars and discounts deducted before the final instalments are calculated. You will have the option to pay off early if you should change your mind. LAST CHANCE - Shipping World Wide from our NZ and US warehouses. SOLD OUT in our EU warehouse. 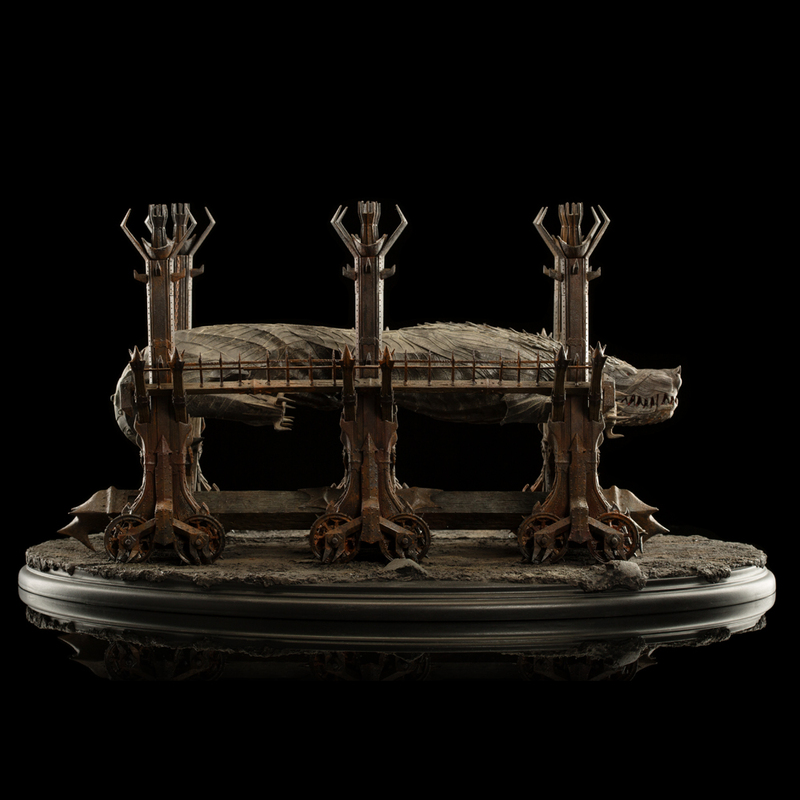 Earn 37.45 Weta Dollars! What's this? 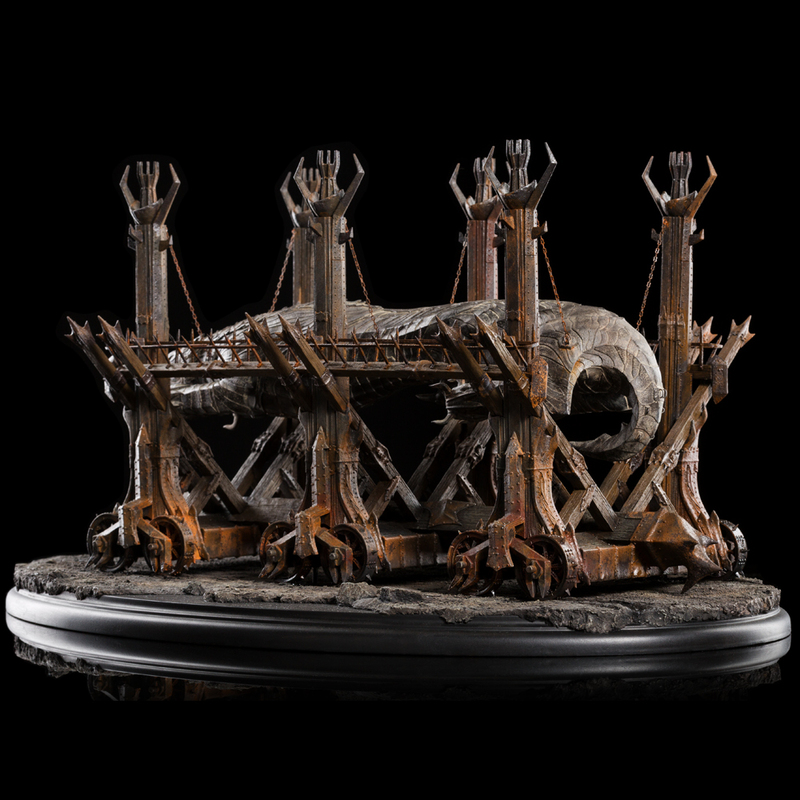 Foremost among the Dark Lord Sauron’s devices of war was Grond, Hammer of the Underworld. 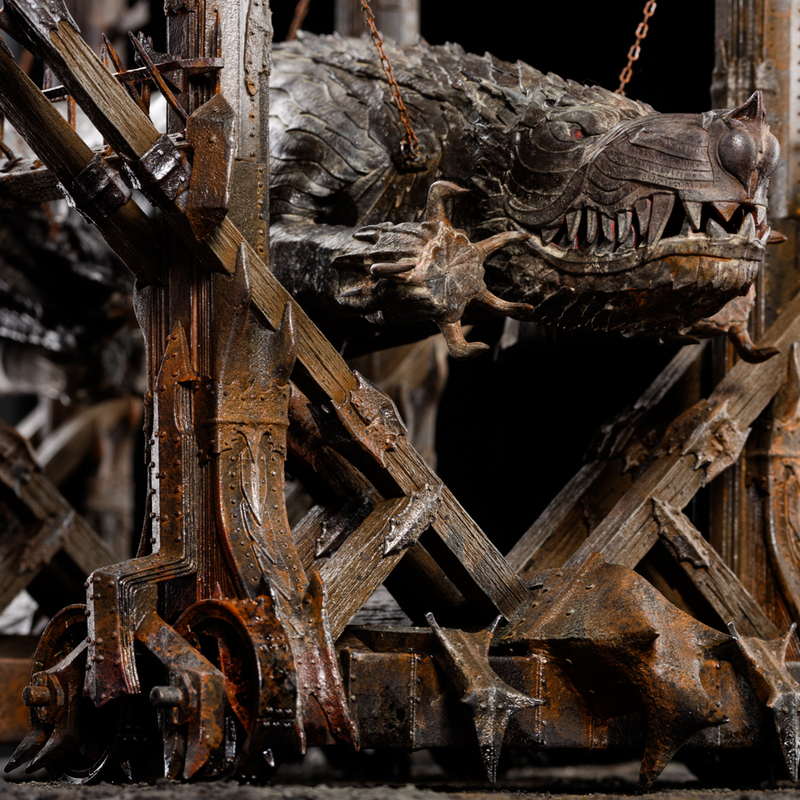 A great battering ram fashioned after the snarling visage of a wolf, with flames licking its jaws and burning within its eyes, Grond was a terror to behold. 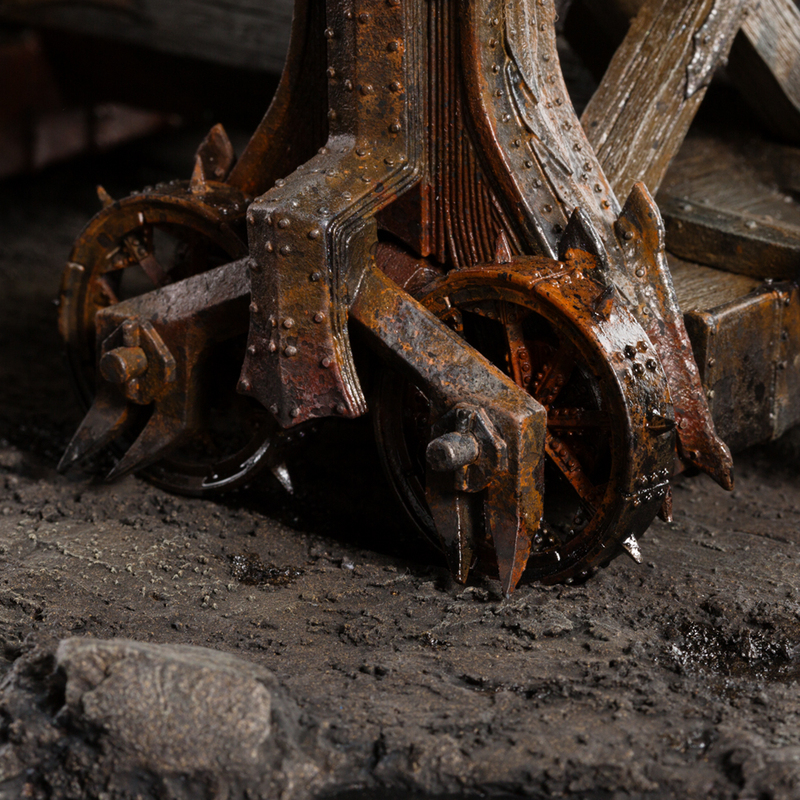 Etched with spells of ruin and hung from a towering gantry, the ram was dragged many miles from the dark foundries of Mordor to the gates of Minas Tirith, a city under siege. Before the White City’s walls, Trolls took up chains to swing the mighty wolf’s head, shattering the gates, spilling Orcs, Trolls, Wargs and worse to sack and slay within. 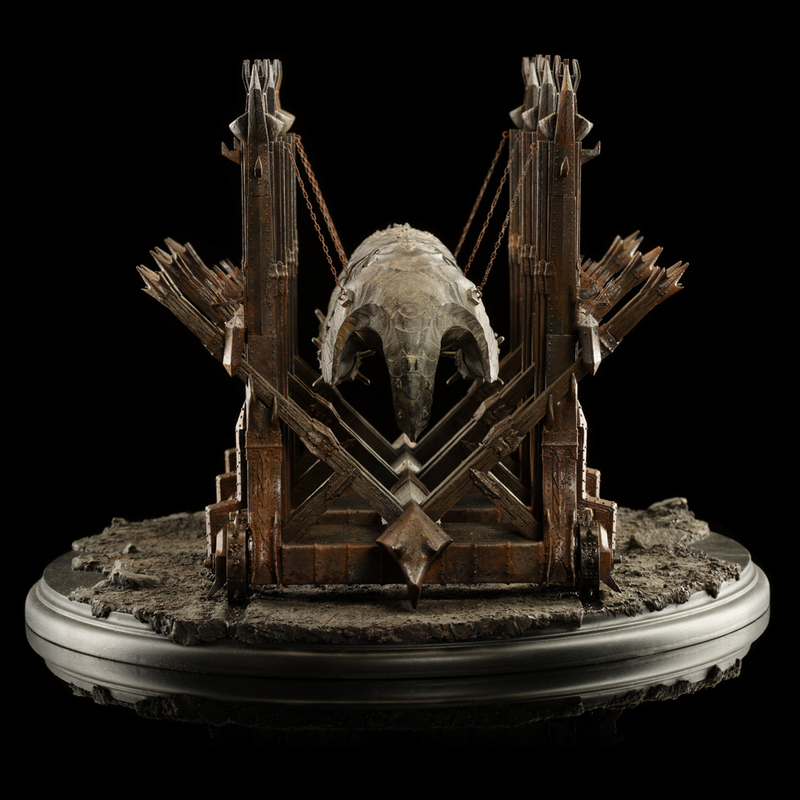 A masterpiece of film sculpture, this magnificent Gront collectible was first unveiled at New York Comic-Con. 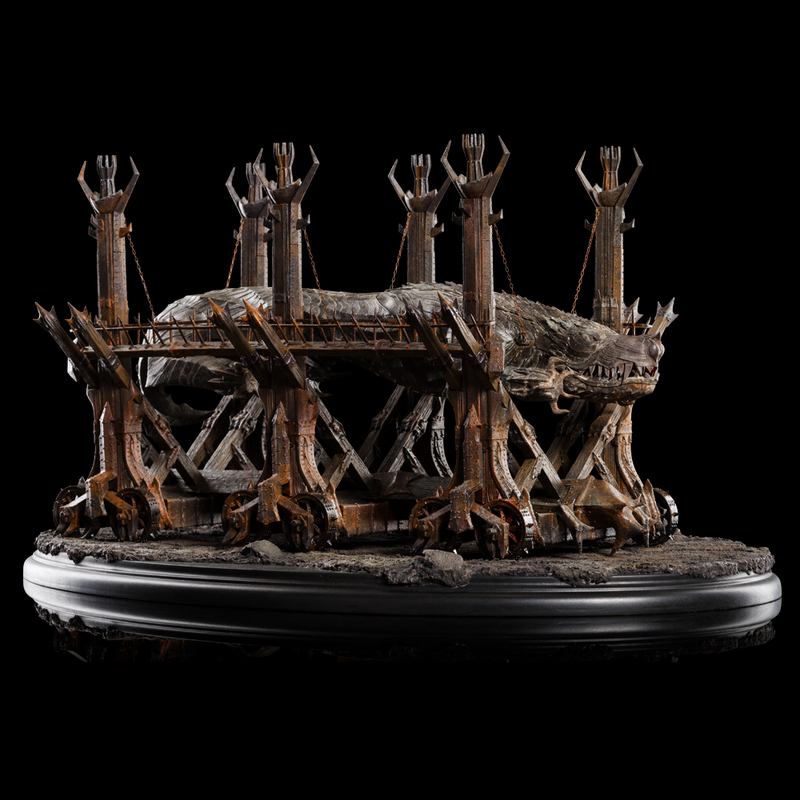 The Weta Workshop crew are proud to announce that it is now ready for pre-order in a strictly Limited Edition of 500. 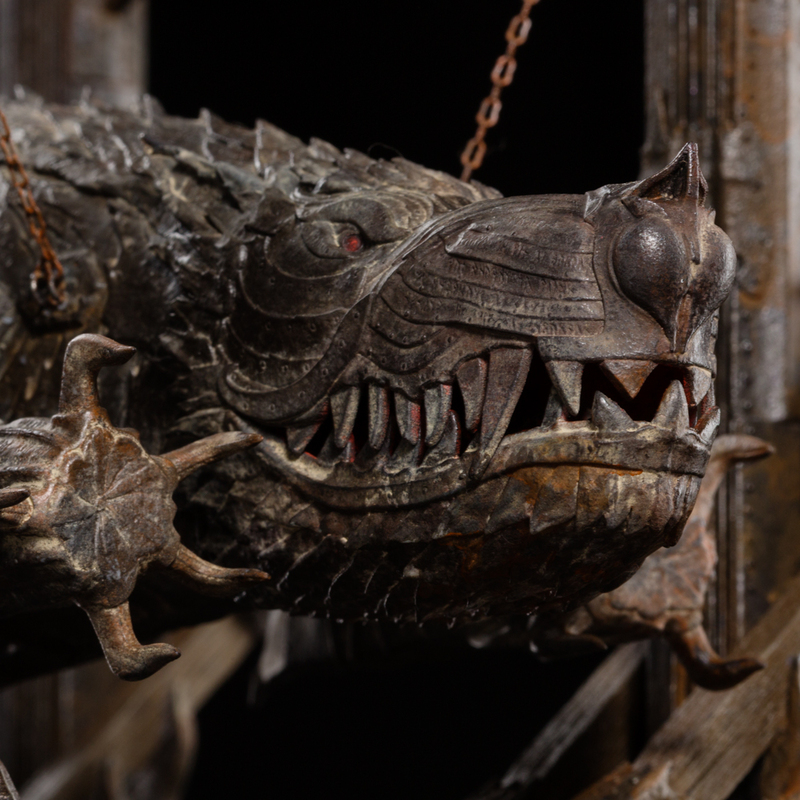 Created by the artists of Weta Workshop, including those who worked on the original film version! Please note: images are of a pre-production prototype. Final product may differ.